It’s a Truly, Truly, Truly Outrageous ROM Variant Cover for JEM AND THE HOLOGRAMS! 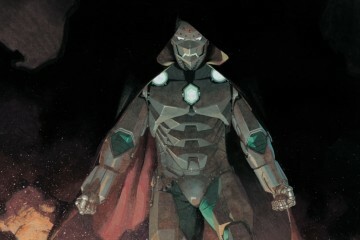 The intergalactic hero ROM, the greatest of the Space Knights, has had a long and varied history. Starting out as a Parker Brothers light-up action figure, the character enjoyed greater notoriety in his own comic book series and across other media. It’s easy to fall in love with ROM; it was for me, at least. 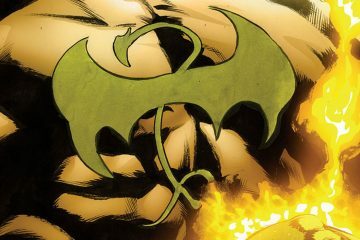 The character’s design is sleek and foreboding, able to cower his enemies, the Dire Wraiths, with but a piercing glare of his red eyes. And the sci-fi angle married with comic book derring-do was a bit of alchemy that I was always a sucker for. 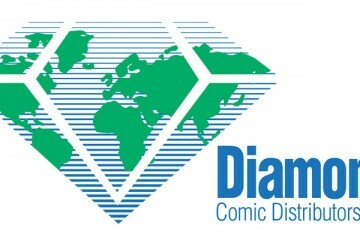 That’s why when IDW announced that ROM would be returning this year, first with a #0 issue for Free Comic Book Day in May and then two months later for a first issue kicking off a new ROM comic book series, to say that I was jazzed would be a gross understatement. To give ROM the debut he deserves, IDW is doing all kinds of right by the Space Knight by having the universal protector appear on the covers of many of its series this July, the same month ROM #1 hits newsstands and digital download. 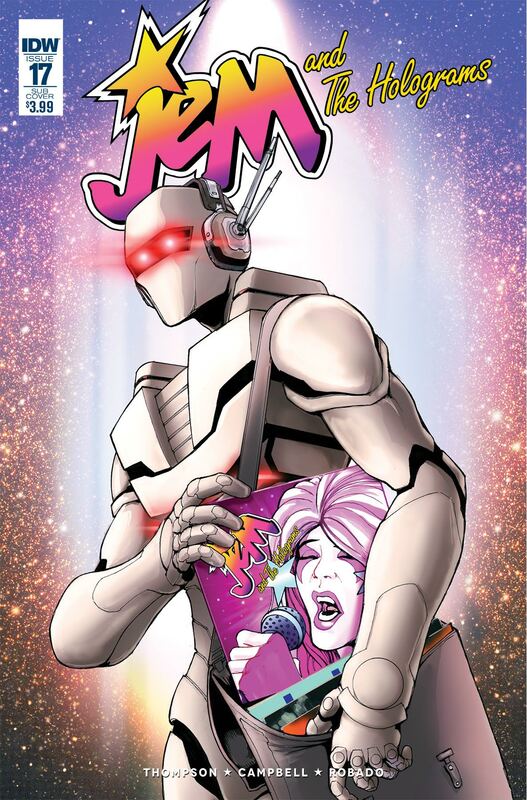 We have a first look at ROM’s appearance on the cover of July’s issue of Jem and the Holograms (another one of our favorites here at FreakSugar). 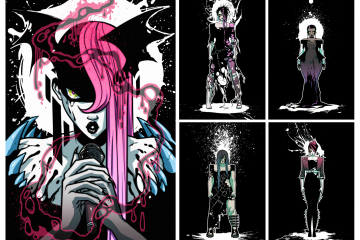 Check out the ROM-centric art that will grace the front of Jem and the Holograms #17! A shout-out and hat-tip to cover artist Andrew Griffith for all of the music-related flourishes; a very nice touch! Jem and the Holograms #17 and ROM #1 both hits newsstands and digital download this July. Still reeling from the shattering conclusion to DARK JEM, JEM AND THE HOLOGRAMS regroup—desperate to find a path forward. Meanwhile, THE MISFITS find themselves with a unique problem… one lead singer too many!